Do you know how to drive defensively? Sadly, most drivers don’t. What’s even more unfortunate is the fact that Defensive Driving curriculum is rarely ever incorporated into most state mandated Driver Training schools. And driving aggressively doesn’t just increase your likelihood of getting into a dangerous accident – it can increase your insurance rates, too. Here’s an example: imagine you’re paying around $83 per month for your insurance policy. If you qualify for a defensive driver discount, that 10% savings could add up to almost $100 each year! Another note worth mentioning is that if you aren’t the only person covered on your auto policy, you can save even more. Getting all of the drivers on your policy to take a defensive driving course can make you eligible for additional discounts. Defensive Driving Courses are most common among drivers who have recently received a traffic ticket for engaging in some sort of aggressive violation, such as speeding, running a red light, or failure to yield. If you’ve had a recent ticket, you might be able to take a defensive driving course in order to keep your insurance rates down. But choose your timing wisely, because most insurance companies will only let you take advantage of this once every 12 months. Many of the well-known car insurance providers offer up defensive driver discounts for their customers. In order to be eligible for these discounts, many auto insurance companies set age requirements to qualify for each specific discount. In addition, the discount varies from one state to another depending on each state’s laws and regulations. 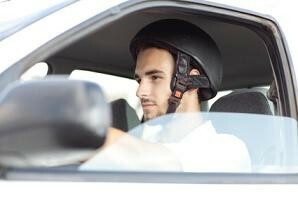 You may also be required to successfully pass some form of accident prevention or possibly a defensive driving course. Learn more about defensive driving courses history timeline. Allstate was one of the first pioneer companies providing reliable, friendly service as well as defensive driving discounts to motorists who have a history of responsible driving. But these days, they aren’t the only ones. Yet another large car insurance company which provides defensive driver discounts to their clients is GEICO. GEICO is well known as a trustworthy and reputable company within the car insurance industry. They provide a defensive driver discount for motorists who are eligible and have graduated from an online defensive driving course. Most GEICO car insurance policies require that motorists be age 50 years old or older to be eligible for the defensive driving discount. However, this requirement varies by state, so it’s best to double-check with your insurance agent and get confirmation. Also, with GEICO, you can’t take just any old driving defense class; the course must be approved by GEICO itself and also the United Safety Council. Nationwide Auto Insurance enthusiastically claims that it is “on your side” and follows through by both covering their drivers responsibly and rewarding them if they are eligible for a defensive driver discount. Nationwide also has specific requirements, such as successfully passing a defensive driver class. In the end, becoming a more defensive driver provides multiple benefits. You save money on your auto insurance policy and you become a safer driver behind the wheel. Be sure to get in touch with your insurance agent now to see how you can qualify for a defensive driving discount today.